Throughout Cliff Richard's career, The Shadows have been around making music. To acknowledge their merits this additional page has been set up. This site is an attempt to track down and list all songs touched by The Shadows. It is not a discography. It could better be described as a "song-ography" of The Shadows's musical career. It is only going to be as an accompliment to Robert's great work. It is however not as exhaustive as the rest of the site. It is purely a record of the works by The Shadows, Hank Marvin, Bruce Welch, Brian Bennett and others. But not with Cliff (That's covered elsewhere on this site). Click HERE for a downloadable Microsoft Excel version of The Shadows list. Latest update October 10 2014. Added 74 various songs. Click HERE for a downloadable zipped Microsoft Excel version of Robert's list (excluding all the song comments). Click HERE for a downloadable zipped text version of Robert's list (including *ALL* song comments). 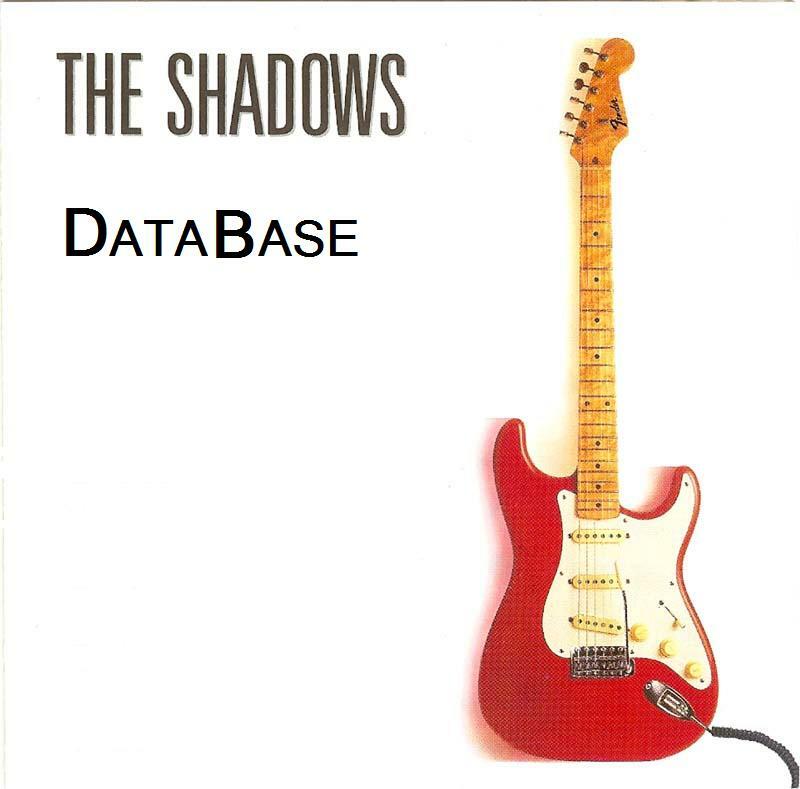 This database contains all the songs that were performed, written and/or produced by The Shadows and others throughout their career. There are, however, a few exceptions to this. Live Music - I have only listed live material when it was officially released or was exceptionally unique (i.e. Cerveza). This is a living document and will be continually updated. Check back periodically for updates. If there are any questions, comments, corrections or complaints (!?) about this database, please feel free to contact me at shadsdb@gmail.com. I welcome your feedback. Thanks! My name is Chris Lane and I am a fan of Cliff Richard's music. I first discovered Cliff via his song We Don't Talk Anymore. However, I have been collecting Cliff's music since then and just for fun picked up the odd Shads record along the way. I started this database as a way to help me keep track of my own collection of music. I work on it when I can. It is also for the fans that contact Robert about them too! During my spare time I do listen to Cliff's music. Regarding this webpage, I try my best to just state the known facts. Also, I am not a musician. As such, I have little offer by way of chords, notes, etc. And, as always, if you see anything that needs correcting or you have a recommendation for improvement, please let me know. Just be patient if it takes me a while to respond (due to the listening thing mentioned above). Thanks for reading! A special thanks to Robert for hosting this page.